After receiving his Master’s degree from Penn’s Graduate School of Education in 1941, Nkrumah began another program of study with the Department of Philosophy on a University Scholarship. His advisor Glen Morrow noted that he satisfied the requirements for a master’s degree in philosophy in 1943, and by 1944 it appears that he had passed his preliminary exams for a doctorate. He then began working as a Twi instructor for Zelig Harris in a new African Studies graduate group, and in 1945 he left the United States for London and Manchester. He finally returned to the Gold Coast in 1947. We have some more tangible traces of his intellectual life during this time. While his theses in education and philosophy have unfortunately been lost by the University, he did publish two articles in Penn’s Educational Outlook that give some indication of the extent to which he was already developing the Pan-Africanist challenge to colonialism that we now associate with him. He also proposes that African teachers rightly understood the importance of early childhood in the learning process, and thus began education at a very young age, and he pointedly observes that the colonial-era need for African orphanages was a consequence of the destruction of traditional educational institutions, which unlike the European model, integrated “infant welfare” and schooling. His conclusion: West African education “gave efficient preparation for the activities of life and so it fulfilled its purpose,” an implicit suggestion that it was the equal of — and in some ways superior to — its colonial counterparts. 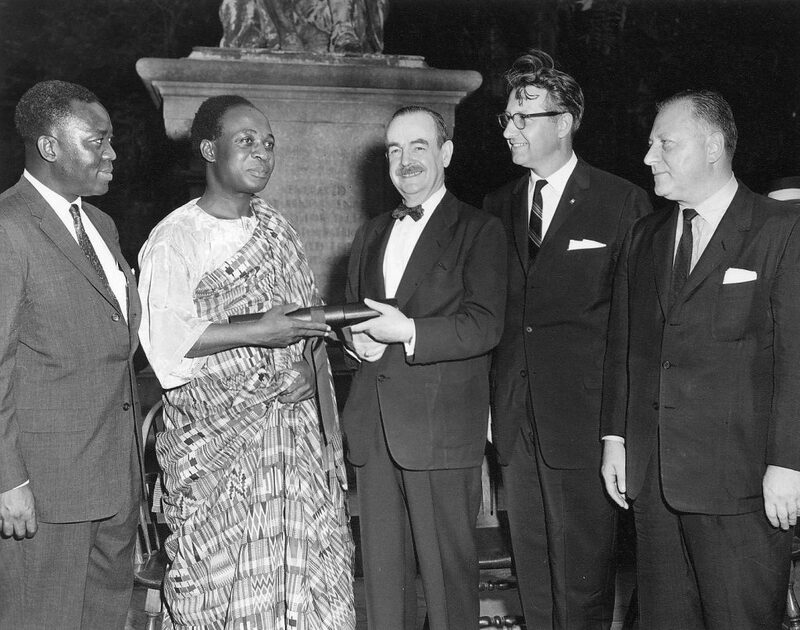 Two dissertation-length manuscripts from this period of Nkrumah’s life can now be found in the Ghana National Archives, one entitled “The History and Philosophy of Imperialism with Special Reference to Colonial Problems,” and another, “Mind and Thought in Primitive Society: a study in Ethno-Philosophy with Special Reference to the Akan Peoples of the Gold Coast, West Africa.” While these texts are not readily available to the researcher, their titles suggest the Educational Outlook articles of Nkrumah’s time in Philadelphia were closely tied to both his dissertation plans and his more general political development.